Mon dieu! Can you get enough World War II period films set in France? This news from Cannes should strike a bittersweet note with Paulita over at the Dreaming of France meme - lots of fun French posts on Monday. Bitter because of the somber subject matter, sweet because it's still satisfies our fascination with France; an adaptation of the long-discussed movie based on Irene Nemirovsky's novel, Suite Francaise, is moving ahead. Nemorovsky's own story, by the way, is as dramatic and tragic as any novel. Living in Paris as an extremely successful Jewish writer, Nemirovsky fled to the French countryside with her family when the Nazis invaded in 1940. They were caught in 1942, the Nazis arrested her in the midst of writing a five part epic, of which she had completed handwritten drafts of the first two. The manuscript, hidden in her daughters' suitcase was taken with them eventually to safety. Irene Nemirovsky was sent to Auschwitz, she was dead a few months later; she was only 39. 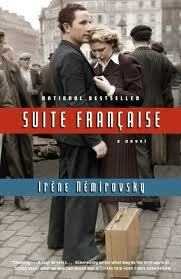 Sixty four years later the manuscript was discovered and in 2004, published together as Suite Francaise. The film based on Ms Nemirovsky's Suite Francaise - which was clearly informed by the horrors of her world and the world around her - will star Michelle Williams, Matthias Schoenaerts and Kristin Scott Thomas. Producer and literature lover Harvey Weinstein describes the film's story as that of a young woman(Williams) who lives with her controlling mother-in-law(Thomas) in Nazi-occupied France. When refugees from the Nazi invasion flood the town, the Nazis follow and the young woman, Lucille, ends up falling for a German officer(Schoenaerts). Saul Dibb (The Duchess)who wrote the screen adaptation will direct. 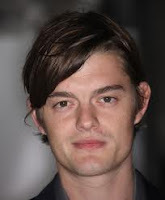 UPDATE: Sam Riley (On the Road) will play a French soldier in the film. Comparing that story line with the novel's description, it sounds like the film may focus on Part Two of Suite Francaise, Dolce. I've marked the passage in the book's Publisher's Weekly description below; doesn't that seem the most likely scenario in which love with a German soldier might occur? And to make maximum use of this trio of fine actors? As I read the first passage, the mother/daughter element doesn't seem to be in it much, if at all. The first part, “A Storm in June,” opens in the chaos of the massive 1940 exodus from Paris on the eve of the Nazi invasion during which several families and individuals are thrown together under circumstances beyond their control. They share nothing but the harsh demands of survival—some trying to maintain lives of privilege, others struggling simply to preserve their lives—but soon, all together, they will be forced to face the awful exigencies of physical and emotional displacement, and the annihilation of the world they know. In the second part, “Dolce,” we enter the increasingly complex life of a German-occupied provincial village. Coexisting uneasily with the soldiers billeted among them, the villagers—from aristocrats to shopkeepers to peasants—cope as best they can. Some choose resistance, others collaboration, and as their community is transformed by these acts, the lives of these these men and women reveal nothing less than the very essence of humanity. The original plan called for shooting in Paris and Belgium to begin June 24th but the start date has slipped to the more amorphous 'this summer'. I was wondering from the description of the movie, because I read half of the book. Lucille and her mother are characters in it, but another part of it focuses on a young priest. I stopped reading after the priest, who was accompanying a group of young teenage boys to safety from the Nazis, was stoned to death by the boys. I have such a hard time reading about cruelty. I do want to go back to the book some time though. I haven't read this book, but know lots of folks who did, and really enjoyed it. Sounds like it will be an interesting movie. Most happily of all, I will be in Paris in late June! I'll keep an eye out for film sets- you never know! I had this book on my TBR list but didn't realize they were making a movie. I must admit I could not finish this book. Wonder if I will enjoy the movie. That sounds like an excellent film -- I love those actors and can't get enough of WWII French Resistance stories. Like Esme, I couldn't finish the book because of the cruelty. I'm going to have to let you watch the movie and tell me whether I can see it. I know, how can a movie about World War II avoid cruelty? I have to say I'm getting more and more curious about Suite Francaise; it sounds like it might be an even tougher read than A Thousand Splendid Suns. Like Paulita and you, I don't see how a World War II film can avoid cruelty either, difficult to read - or watch - but necessary if you're presenting reality. There are degrees though, hopefully the director, Saul Dibb will handle it with care.